Growing miniature versions of tumours and human organs could pave the way to better cancer treatments, researchers say. By taking cells from a diseased patient and creating a replica of their flesh in a lab, scientists could test which cancer drugs are most likely to work for them. The procedure can be done in less than two weeks and test hundreds of drugs without giving any to the patient until doctors have decided which could work best. This could mean individuals get more specific and tailored treatment instead of drugs which doctors only hope will work. Researchers at the University of California, Los Angeles (UCLA) tested the process on patients with high-grade carcinomas and ovarian cancers. By taking a biopsy from the patients and growing new, but identical, versions of the patients’ organs or tumours they could test how well drugs work without actually giving them to the patient. This could be used to screen hundreds of drugs and drug combinations within two weeks to allow medics to find the medication they think will work best. ‘We always focus on how we need new and better drugs to treat cancer,’ said Dr Alice Soragni. It takes around three to five days for the organoid – the regrown tissue – to become established and ready for testing, the researchers said. Robots can then screen multiple drugs at a time instead of checking whether they work one-by-one. The method could be particularly effective for people with rare cancers, experts say, for whom doctors may not know which are the best drugs to use because there are fewer opportunities to test them. As well as improving therapy for existing cancer patients and those for whom other drugs have failed, recreating people’s tumours could identify patients who would be useful in trials for new drugs. ‘We obtain cancer cells directly from surgery and that same day we can seed them to generate tumor organoids,’ Dr Soragni said. ‘We created a miniaturized system that allows the setup of hundreds of wells for testing with minimal manipulation. The research was published in the journal Communications Biology. 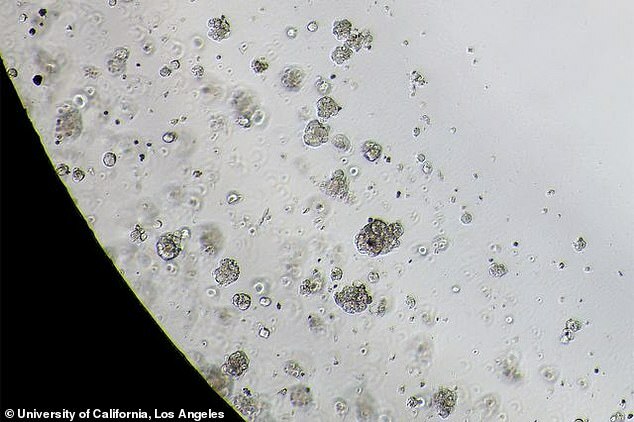 Growing organoids has been used by researchers in other areas of medicine, such as recreating intestinal tissue to develop treatments for gut disorders, and growing placentas in a bid to reduce miscarriages and premature births. WHAT ELSE CAN LAB-GROWN ORGANS TEACH US? Scientists are already using organoids – regrown organs and bodily tissue – to investigate ways of treating various conditions and medical problems. Researchers at Harvard Medical School in Boston, Massachusetts, grew human intestinal flesh and transplanted it into mice in the hope of working out better ways to treat gut disorders like Crohn’s disease or short bowel syndrome. The research, published in Nature Communications in 2017, found the lab-grown tissue could work properly in the mice and absorb nutrients like a native organ. This, the scientists said, could open the door to transplants without the risk of rejection if the tissue could be grown from the patient themselves. Experts at the University of Cambridge have used the same process to recreate human placentas in a bid to work out how to avoid miscarriage, premature births and stillbirths. While doing so they found a protein released by the placenta which they believe triggers morning sickness, and they can also test ways of giving the mother drugs which won’t pass through the placenta into the baby. Their research was published in the journal Nature.